In terms of speed, cannot be denied that Linux has a speed far above the windows. and because that’s the speed factor that allows Linux to run on computers with low specifications. when compared with windows, linux boot process is also relatively more quickly, this is also resulting in many more choose to use Linux as a server .. but that does not mean windows cannot run faster than linux. 1. Defrag your hard drive (drive) your windows every day. anti-virus software that the latest require substantial memory and ideally anti-virus software then runs every time the computer starts to scan file2 are accessible at all times. this is a bit much affect computer performance. 3. Turn off Automatics windows update. windows automatic update when a flame, then he will continue to scan the system and automatically download updates from the server program needed for windows. Just turn off to conserve RAM memory. RAM memory size will determine the speed of your computer, it is impossible to beat linux windows with just under 1GB of RAM ..
5. Buy a new CPU. buy a CPU with the latest specification Extreme quad-core processor or above, then you can beat linux secured with Pentium 3 processor. 6. Downgrade to windows 95.
if you lack money to upgrade the RAM or to buy a new CPU. try to install Windows 1995, guaranteed to be running faster than any linux distro output in 2007. 7. Wait for the latest release of Windows 9. 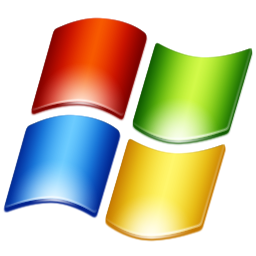 Windows 9 may still be a long time out, but according to news circulating windows 9 will become the operating system the fastest, most secure, free from the virus even without anti-virus programs, it said Steve Ballmer (CEO Microsoft).